Mizuho Financial Group Inc. plans to encourage equity research analysts to become investment bankers as the megabank competes for business arranging share sales and advising on mergers. Mizuho Securities Co. will offer its analysts the opportunity to switch jobs so the company can tap their knowledge about industries and the equity market to advise clients, said Yohei Osade, global head of Asian equities. The firm plans to hire analysts to fill the vacated roles, Osade, 46, said in an interview Aug. 25. Japan’s biggest lenders are trying to generate more investment-banking fees as low interest rates depress income from loans. Mizuho trails Mitsubishi UFJ Financial Group Inc. and Sumitomo Mitsui Financial Group Inc. this year in managing share sales and providing takeover advice. “The opinions of highly educated analysts could be persuasive when a company is seeking a big merger, because they know the big picture of the industry and the history,” said Tetsuya Sakabe, managing director at recruitment adviser Kanae Associates Ltd. in Tokyo. Still, “it’ll be tough for former analysts to make money as bankers because they’ll have to change their mindset” to focus on wooing clients, he said. Mizuho will consult with analysts about their career plans and ensure they get the chance to make the shift to banking, Osade said, without mentioning a target for the number of staff who may move or how they would be compensated. 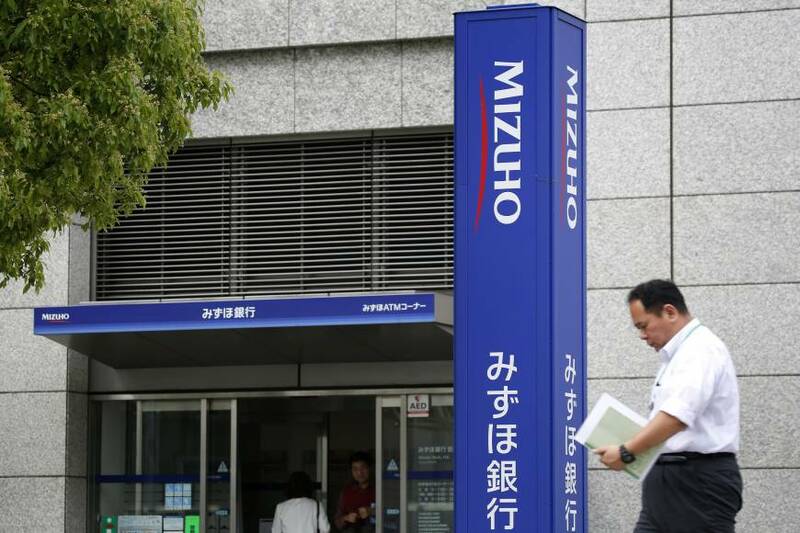 To replace those who transfer, Mizuho plans to hire research specialists from global firms that are revamping their Japan operations to trim costs, said Osade, who joined the company from Bank of America Corp. in 2012. While it is rare for securities firms to turn analysts into deal-makers, it’s not unprecedented. Credit Suisse Group AG named senior analyst Howard Chen to run financial technology investment banking in the U.S. last December. JPMorgan Chase & Co. hired former Barclays PLC equity analyst Yuji Fujimori as an investment banker for the telecommunications, media and technology industry in Tokyo in June 2013. “Many equity research analysts want to become bankers because they see investment banking as a meaningful business that could decide whether a company survives or dies,” said Katsunobu Komizo, president of Executive Search Partners Co., Japan’s biggest banking recruitment firm. 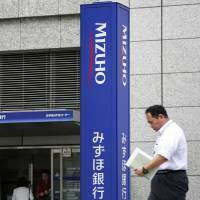 Mizuho has already converted at least two research employees into bankers this year. Technology analyst Eisaku Ohmori changed jobs in July to develop relationships with companies, including electronics makers. And Satoru Kunieda made the transition to cover the transportation industry in January. “Mizuho has a business culture as a corporate bank, and we want to enhance that by moving people who developed their careers in the equity markets,” Osade said. The company will ensure the transfers of staff comply with financial regulations, he said. Rules in Japan and abroad restrict the exchange of information between analysts and investment bankers to prevent conflicts of interest. Citigroup Inc. was among 10 Wall Street firms that agreed to pay $1.4 billion in 2003 to settle claims by U.S. and state authorities that they used biased research to gain lucrative underwriting and merger assignments. The settlement imposed new limits on contact between bankers and researchers and barred the companies from letting investment banking influence how analysts are paid. Analysts have a slightly less favorable rating on Japanese stocks than their counterparts abroad. The average consensus rating on shares in the benchmark Topix index for which Bloomberg tracks recommendations is 3.48 points out of a maximum 5, compared with 3.83 for the S&P 500 and 3.64 for the MSCI gauge of stocks worldwide. Mizuho may recruit analysts for the technology and chemical industries as soon as this year, Osade said. The firm also plans to strengthen its Japan equity sales team, which has about 70 employees, by hiring four or five sales and trading staff in Asia, Europe and the U.S. from foreign banks, he added. The firm aims to expand research coverage to 480 or 500 Japanese companies by next March from 440 at the end of the first quarter of 2014, Osade said. Mizuho is ranked fifth among underwriters of share sales by Japanese companies this year, according to data compiled by Bloomberg. It is 10th among advisers on mergers and acquisitions in the country, data show. Osade expects the Nikkei 225 to rebound by the end of the year as Japanese firms increase profitability and the Government Pension Investment Fund, the world’s biggest pension fund, prepares to boost its investment in equities. The stock gauge is down more than 4 percent this year, after ending 2013 at a six-year high, as enthusiasm for Prime Minister Shinzo Abe’s economic stimulus policies wanes. “We’ll strengthen research and sales staff for Japanese stocks because foreign investors are still interested in Japanese companies,” Osade said. Mizuho will hold a global investor conference in Tokyo from Wednesday, and a record 2,000 foreign and local investors are expected to attend, Osade said. Economic policy minister Akira Amari is scheduled to speak at the event Friday. More than 300 company executives will hold sessions with the participants, Osade said. Rakuten Inc., Daikin Industries Ltd. and Bridgestone Corp., as well as smaller companies such as Start Today Co., are among the enterprises that foreign investors have asked to meet, he said.